Six Surprising Search Statistics1. There are 4.7 billion Google searches daily. When you have a question about something, what do you do? Chances are you Google it. And that’s exactly what everyone else does too. There are 4.7 billion Google searches daily. Undoubtedly, search engines have made accessing information easy and efficient. 2. 72% of internet users say they looked online for health information within the past year. With almost ¾ of internet users searching the web for health inquiries, it’s becoming a go-to source for health information. Whether they’re researching a medical condition or treatment options for themselves or for someone else, the internet is often the first step in obtaining health information. 3. Eight out of ten online health inquiries start at a search engine. When people have health related questions, 80% of the time they start with a search engine. Why? It’s easy and they will have an answer in seconds. Your website needs to show in their search results, particularly local searches. Pew Internet research reports that 74% of smartphone owners use location based services. 4. 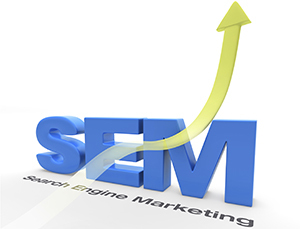 Three times as many healthcare website visitors come from search than from other methods. That’s impressive! And it really highlights the importance of utilizing effective search engine optimization on your website. Some visitors may link from another site or type in your web address, but more often than not, they will find your website through a search engine. 5. 81% of people click on a sponsored link when looking for health information. It used to be said, and perhaps still assumed, that no one clicks on sponsored links. But statistics show otherwise. If that were 100% true, we wouldn’t still see sponsored ads in our results, but we do. Companies are still sponsoring ads, so there must be value. Pay per click (PPC) campaigns, like Google AdWords, can be an effective strategy to increase traffic to your website. 6. Health information is the most searched topic on the web. With almost 280 million internet users in the US, that’s a huge audience. Using the right keywords and content on your website will help your site rank in the organic search results. Showing on the first page of search results garners almost 92% of traffic; that percentage drops significantly to barely 5% for results on the second page. Your Practice Online’s SEO process systematically increases the amount of targeted traffic to your site through search engines and social media sites. 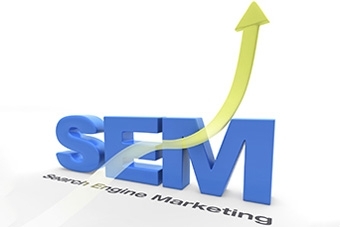 Clients often see an increase of 60% or more from our SEO and SMO improvement process. 2. Pew Internet Project, 2013.